"You have these honest dupes," Sand says. "All these people are being offered thousands of dollars for doing something that's a little bit sneaky but not illegal." Investigators in Iowa now had six tickets they figured were part of a bigger scam. But the question remained: How did it work? Fortunately, the computers used in the 2007 Wisconsin Lottery jackpot were sitting in storage. A computer expert, Sean McLinden, unearthed some malicious computer code. It hadn't been hidden; you just needed to know what to look for. "This," says Wisconsin assistant attorney general David Maas, "was finding the smoking gun." Eddie Tipton pleaded guilty, as did his brother, Tommy. 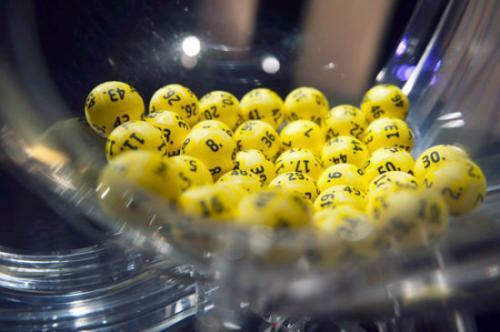 Now facing ten years in prison, Eddie agreed to spill his secrets, which lottery officials hoped would help them safeguard the games in the future. He explained that the whole scheme had started fairly innocently one day when he walked past one of the accountants at the Multi-State Lottery Association. "Hey, did you put your secret numbers in there?" the accountant teased Eddie. "What do you mean?" "Well, you know, you can set numbers on any given day since you wrote the software." "Just like a little seed that was planted," Eddie said. "And then during one slow period, I tried it." To ensure that the winning numbers were generated randomly, the computer took a reading from a Geiger counter that measured radiation in the surrounding air. The radiation reading was plugged into an algorithm to come up with the winning lottery numbers. Eddie's scheme was to limit the random selection process as much as possible. His code kicked in only if the coming drawing fulfilled a narrow set of circumstances. the 147th day of the year, the 327th day, or the 363rd day. Investigators noticed those dates generally fell around holidays—Memorial Day, Thanksgiving, and Christmas—when Eddie was often on vacation. If those criteria were satisfied, the random-number generator was diverted to a different track that didn't use the Geiger counter reading. Rather than millions of possible winning combinations, there would be only a few hundred.